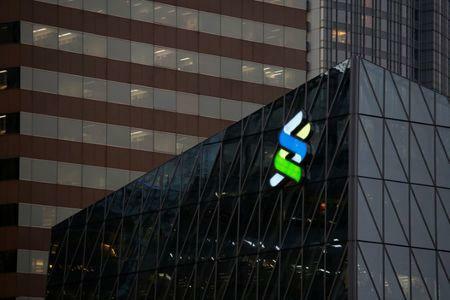 SINGAPORE (Reuters) - Singapore's central bank imposed penalties of S$5.2 million ($3.95 million) on Standard Chartered Bank (SCBC) <STAN.L> and S$1.2 million on Standard Chartered Trust (Singapore) (SCTS) for breaching money laundering rules and terrorism financing safeguards. In a statement on Monday, the Monetary Authority of Singapore (MAS) said the breaches occurred when trust accounts of SCBS' customers were transferred from Standard Chartered Trust (Guernsey) to SCTS from December 2015 to January 2016. "MAS requires financial institutions to adequately assess money laundering risks when deciding whether to accept customers. They should also have in place good systems and processes to monitor customer transactions," said MAS Deputy Managing Director Ong Chong Tee. The MAS and Guernsey's Financial Services Commission had been looking into Standard Chartered's movement of some assets, mainly of Indonesian clients in late 2015, just before the Channel Island adopted new global rules on exchanging tax information. "The timing of the transfers raised questions of whether the clients were attempting to avoid their CRS reporting obligations. However, SCBS and SCTS did not adequately assess and mitigate against this risk factor, and also failed to file suspicious transaction reports in a timely manner," MAS said. "We ourselves identified the issue, we recognized that we weren't as diligent as we needed to be in the transfer of some trust assets from Guernsey to Singapore," Standard Chartered's CEO Bill Winters said at Credit Suisse's annual Asia Investment Conference in Hong Kong on Monday. "We reported both our own shortcomings and also the action of our clients to the MAS,"
"The important thing...is we are making investments necessary to make sure there is no repeat," he said.